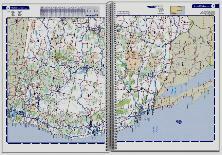 Rand McNally and The Reynolds Communications Group, Inc.
Rand McNally maps and atlases should be in everyone's home, especially those who love to travel. 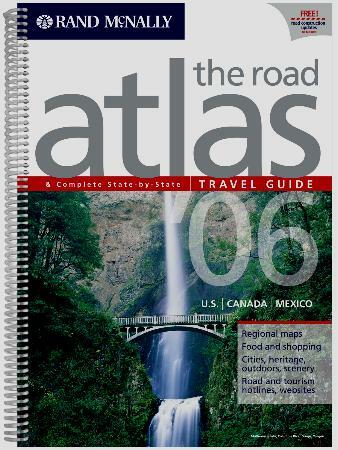 This latest road atlas and travel guide is a beautiful spiral-bound book, so much easier to use while in the car, is full of interesting tourist information to help anyone planning a trip within the United States, Canada, Mexico, and Puerto Rico. Roads of all kinds are clearly indicated as are amenities. Mountains and elevation, rivers and lakes, and forests and national parks are easy to read. Larger cities have detailed insert maps which are very helpful. Something I liked tremendously were all the islands, as I'm planning a travel "something" to do with U.S. islands for a book I'm writing. The maps are legible and you don't have to squint to read the pages. Mileage indicators, those ever-helpful guides, are abundant - I always like to try and work out the distance I'll be travelling ahead of time so that I can plan more-or-less how much daytime driving I can do and where to rest up for the night. 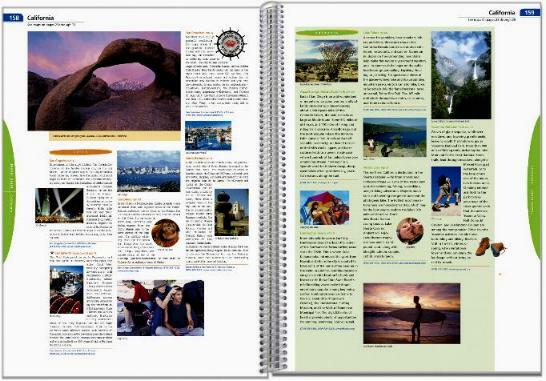 The last one hundred or so pages is the travel guide section. It goes state-by-state and includes Cities, Scenery, Heritage, and Outdoors to give you an indication of what's on offer in each state. Telephone numbers and web addresses are also supplied, along with state motorcycle helmut laws and child restraint seat requirements, both good to know ahead of time! I adore maps and atlases and this one is one I will treasure and use very often. There is something relaxing and inspiring about perusing an atlas, and dreaming and planning future trips. Conclusion - A truly must-have book in every home. Great for travellers and a necessity for all road users. 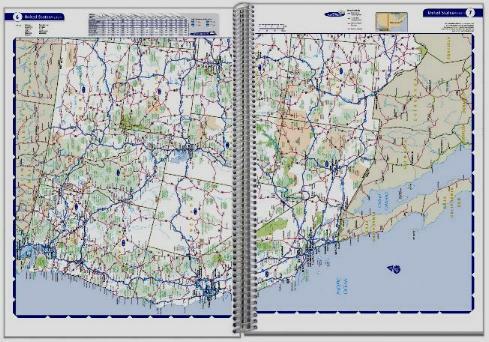 Students can also make use of this informative road atlas.